In 2004, the eastern provinces of Afghanistan cultivated approximately one-third of Afghanistan’s opium poppy. Nangarhar alone had 28,000 hectares—a 44 percent increase in area from 2003, and more than 70 percent of the households were involved in the illicit poppy economy, double the national average. In 2005, after a strong enforcement campaign by the governor, the poppy-growing area was reduced by 90 percent. The farmers in these areas plant poppy because they can make more money growing poppy than they can growing any of the many alternative crops available to them. The U.S. Agency for International Development (USAID)-funded ADP/E was one part of a multipillar strategy to reduce poppy cultivation, a balanced approach of incentives and disincentives that included public information, eradication, interdiction, prosecution, and alternative livelihoods. ADP/E’s goal was to accelerate broad-based, sustainable regional economic development in the Eastern Region. The project aimed to help accelerate licit economic growth and business activity and provide an immediate alternative source of income to poor households whose livelihoods depend, directly or indirectly, on the opium economy. Increase the competitiveness and diversity of regional businesses, both agricultural and nonagricultural. Ensure participation of—and collaboration with—local communities and shuras, provincial governments, businesses, and ministry officials. Improve access to markets, inputs, and business services. Build public and private sector capacity to function in a competitive and transparent economy. Address the particular needs of populations that are heavily reliant on the poppy economy (mainly women and the landless). 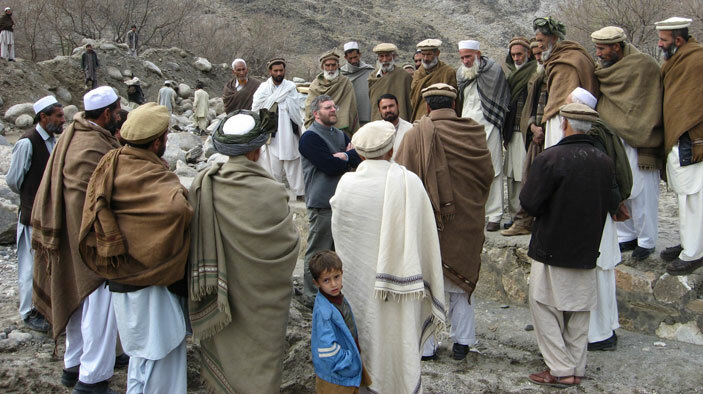 ADP/E agribusiness projects had a direct impact on 66 percent of the households in Nangarhar; 32 percent in Laghman; 22 percent in Kunar; and 9 percent in Nuristan, through a series of commercially oriented activities incorporating 24,308 hectares to legal agriculture and generating more than 17,584 full-time jobs. Provided villages with lights and electricity. Training was made available for 118,414 farmers, government representatives, associations, and business owners. Introduced a mobile phone system where Afghan buyers and sellers obtain daily prices for more than 60 commodities in five markets via email or by sending an SMS from their mobile phone (in multiple Afghan dialects). Directly facilitated sales of fruits and vegetables valued at $5.2 million. Built or rehabilitated 603 kilometers of roads and 2,726 kilometers of irrigation canals. Trained 2,500 women in livestock husbandry; 4,599 in business skills; and 3,835 in improved agricultural practices.